Theory of Type Design consists of 24 short chapters describing different aspects of type design, from the influence of language to today’s digital developments, from how our eyes and brain process letterforms to their power of expression. The book provides thoughtful insights from a master practitioner, but doesn’t reveal any ready-made theories or methods for making typefaces more effective. It is not a book for type design students hungry for neatly formulated rules, but a resource for an advanced professional interested in discovering more about the complexity of the craft. 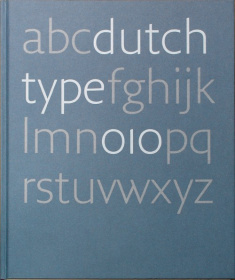 Book designed by Gerard’s former student Hansje van Halem.